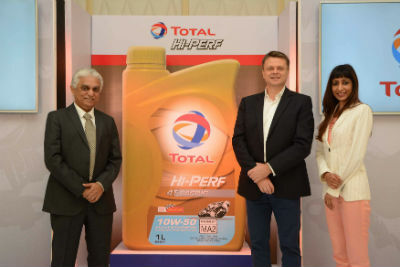 Mumbai: Total, a leading international Oil and Gas Company has launched in India a new range of automotive lubricant called ‘Total Hi-Perf’ for the motor cycle oil segment. Total’s widespread expertise in moto racing has resulted in a range of lubricants designed for complete protection and ultimate performance for all types of two-wheeled engines as well as a smoother ride, which is comfortable and cooler. Franco Morbidelli was crowned World Champion using TOTAL HI-PERF in the Moto2 category in 2017. The lubricants division has pan India network of over 31 depots, 297 distributors and over 40000 dealers. 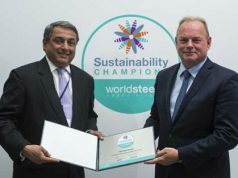 Total has always ensured that the offerings include technologically advanced high performing products and services. Total has also initiated an extensive marketing campaign around the launch of Hi-Perf to engage multiple target groups. 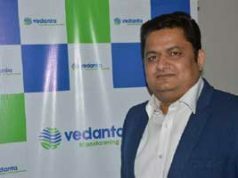 The campaign successfully targeted 40k+ garages, 80k+ mechanics and 13k+ retailers through a nationwide campaign, using new-age technology tools like Virtual Reality (VR). The TV campaign consists of a fully gamified TVC, conceptualized with an objective to highlight the grievances of an everyday biker and how ‘Total Hi-Perf’ addresses his problems, delivers optimum performance and provides ease and comfort to enhance his ride experience. 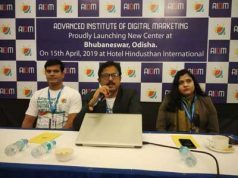 On the digital front, Total has collaborated with Power Drift and some popular moto-vloggers in the country to create a video series called Hi-Perf Ride for Legends, which will be amplified extensively on one of India’s leading OTT platform – ‘Voot’.